FixedSys looks different under Japanese locale? They're both called FixedSys, but there's obviously a difference. What's the second one actually called, and where is it located in Win7? It is the oldest font in Windows, and was the system font in Windows 1.0 and 2.0, where it was simply named "System". 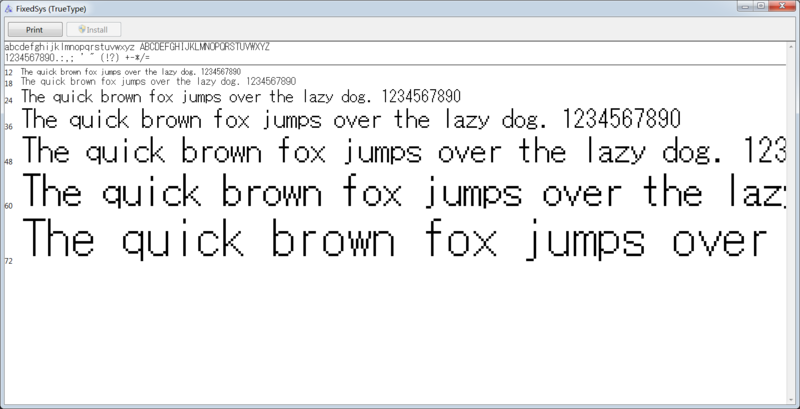 For Windows 3.x, the system font was changed to a proportional sans-serif font named System, but Fixedsys remained the default font in Notepad. Some fonts in Windows are rather aliases that depend on the locale. Changing the locale is done in two places that I detail below. I don't know if they will help in your case, but you could give them a try. For both methods, go to Control Panel > Region, then click on Administrative tab. Click the button Change system locale. In the dialog, select your locale. 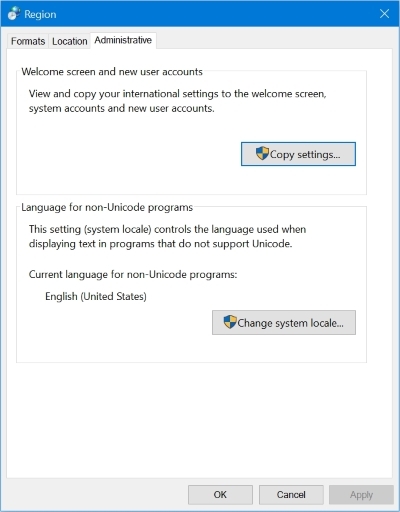 This is not the Windows locale, just the language locale for non-Unicode programs. You will need to reboot to apply. Note: the change of the language used for non-Unicode programs gets applied to ALL non-Unicode apps and files. Therefore, if you need to run another non-Unicode app which uses a different character set, you need to change the non-Unicode program language again. 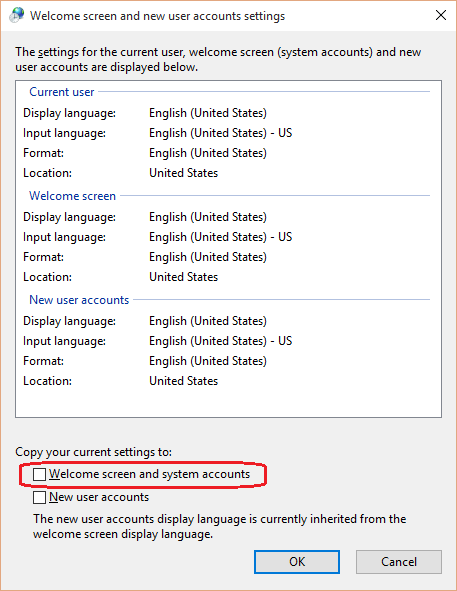 Set one or both options at the bottom of the dialog, and click OK to copy the language settings from the current user account to the system account. Copying non-Japanese language settings to the system account should change the font mapping. Warning : I suggest creating a system restore point before starting. Not the answer you're looking for? Browse other questions tagged windows-7 fonts or ask your own question. “System 8x12” font — what is it, where can I get it? How to change / configure font fallback? How is the state of font-rendering in Chrome under Windows?